Just wanted to encourage you traders out there who do not have a trading journal to create one. It's really important to really have a good gauge as to how well you are doing (or not). I keep my trading journal in Excel and if you're interested, I have one for regular directional option trades (BTO and STC) and for Bull Put and Bear Call Spreads. They aren't fancy, but they give good information. I could tweak them to provide graphs, as a picture is worth a thousand words, but haven't done that yet. I also saw from a trading video and was able to recreate someone else's trading journal that does have graphs. That one is used more for futures trading. Anyway, it's really important to learn what you're doing well in your trading and to nix the mistakes. Believe me, you can't remember everything in your head. Maybe some of the really big mistakes you can, but all those minor ones? I don't think so. I'm working to refine my trading journal to be more efficient. My trading coach says the trading journal is a must. He said his trading really took off when he was meticulous with his journal, because his journal enabled him to learn and to adjust his trading to be highly profitable. I see no reason to reinvent the wheel and will just follow what he does. Got my personal taxes done for 2007, filed. Even if you have a CPA or someone else do it, it's always good to review things to see if they were missed and ask questions. An error my CPA made would've cost me thousands in taxes, but I caught it before it was mailed out. I'm not real tax savvy, but a simple thing like filing statuses of different people makes a huge difference. I missed some really good moves on POT because I was focused on the money in my account rather than drop the fear and just trade. Plus, my sleep has been further impeded. Sleep is probably one of the biggest things of mastering in my life. Without good quality sleep and enough of it nightly, my decisions in things whether it be trading or otherwise are skewed. Though I was able to profits off the table yesterday, I left a great deal on the table because of remembering from a past experience with BIDU that was very costly, I allowed that to prevent me from profiting more in this trade. I took a very small position on this of only one way OTM contract, as now I'm doing a real funded $200 account to see if I could get that to what some of my practice $200 accounts have been able to do. I've never traded with that small of an account and there are some psychological things here to deal with. Plus, taking into account my own financial stuff, that's a great deal of pressure. By the open of yesterday, I grew the $200 to $300. This account could've been over 500% today just trading POT, but I was petrified and just watched it move, even though I said outloud, this would be a good time to get into a Call. This would be a good time to get into a Put. Both time were right on the money, but I just watched it do that and did nothing. I knew GOOG had earnings and a $50-70 strangle, of one contract would've been very cheap at less than $100 to get in. After hours, it's trading $76 above the close. Taking a Apr510C @ 0.50 at close would be at open at least $16 for that option and the Apr380P @ 0.50 would've been a $110.95 strangle for me. The return would've been about 1342% upon open, if it opens at $526. If there is a slight further run up, that's even better. Grab your profits, and if it heads down, go down with it and get out when it starts to head back up. Then you can reverse your position. Sounds so simple, no? It is if you can do this all very mechanically. GOOG might even try to make a run up to $537. Though I am not in for the strangle, if it attempts to go to $537, I could get in at open if it's heading up. If it heads down, I could jump in for that. I only have the first 1.25 hrs to trade tomorrow at the beginning, so let's see if I can contain my emotions and trade well. As a side note, I will be taking on a new trading coach for the next 3 months to help me refine my trading, get a hold of my emotions, and help me to trade better, be more organized. One of the things identified is that I need more consistency in my documentation and trading plan. Stop keeping things in my head. I had been very meticulous earlier with my documentation, but had slacked off due to one of my trading friends who makes millions who does not keep a trading journal. For some reason, in my head, I thought I could do similar. Wrong. Back to the trading journal and to figure out how to have a better one than will give me enough information without being so challenging to do that I won't do it for long. Keep it simple, succinct and powerfully informational. Also, when I got more into daytrading, I thought it was just too challenging to keep a journal. Yes, I record my entries & exits, but what I need to provide are some charts annotated with my learnings of things I did well or not. When I pick apart my trades, I'm able to more effectively drill those learnings into my brain. My trading coach makes millions and why should I reinvent the wheel. My short-term goal is to trade futures and to be able to consistently every single day make $200-300/day. When I master that, then I will increase that by $100/day. Need to get rid of some bad habits, get my sleep under control, as well as my emotions. There are always going to be "things" in one's life, so I need to master interference. I WILL master interferences in my life. I MASTER interferences in my life. Once again, I have to apologize. Real life has taken over and it makes blogging regularly a challenge. Honestly, how do those other people do the regular blogging? Maybe it seems too much for me to think that I can juggle being a single parent of 2 young children, go through a divorce that isn't too amicable with a custody battle, manage the financial state my soon-to-be ex left me in, manage my trading business, etc. may be unrealistic. So, I hope you will continue to bear with me over these months as I sort through all this. I've missed some really good moves with my regular stocks that I trade due to distractions and issues I've had to attend to. Having the psychological part down is necessary, otherwise, I've found that it can be more costly. These weeks, I've not had a lot of relaxation as financial pressures have been building up in my life. However, I'm learning that these are things I must just master. And, I'm being given the opportunities to do this. What am I doing? I am nearly daily working on real time practice trading in futures. Haven't gone funded yet as I do not have my practice trading down pat. The things I've been using in my Futures trading are: 10/20/50/200 EMAs, regular Bollingers, Parabolic Sars, RSI, and support/resistance using the regular floor pivot points. In the meantime, I do have practice & funded trades that are day and swing trades on stocks. These are regular BTO's - buy to opens. 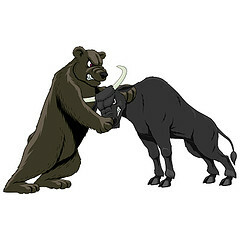 I'm also doing some Bull Put Spreads and Bear Call Spreads (BUPS and BCS). There is a lot that I'm doing, but my time doesn't really afford for me to share that with you now. Please forgive me. As my life gets a bit more settled and I get more organized, I hopefully will do better here. Have a super day. Happy trading. Boy, there is a lot of paperwork involved in opening a futures account, especially if you're a company. Anyway, the hang up right now is that my driver's license picture isn't coming through very well. Everything else looks good. Go figure. The past few days, I haven't been funding too many options trades as I've been actively working on understanding the trading platform of where I will be trading futures with (the eminis), namely the YM and ES. This is a different way of trading and I will continue to use my moving averages, volume, bollingers, trend lines, support/resistances, but I'm adding parabolic sars as well as RSI. Beyond these, I think this is MORE than enough. Been working out the kinks of the platform and really glad I didn't go funded yet as I've made some errors. One HAS to get these nuances down pat before funded trading or this can be very costly. I've been teaming up with 1-2 other futures traders who are somewhat new to the game also where there is some guidance from other futures traders who are far more experienced. Learning a lot. Leverage is the thing that I really here and I like the price factor. It is what it is instead of this other thing called decay. Anyway, today has been a fun, interesting, learning day. I'm tired and need to get to bed early to get enough rest. More to come at some point in time. I continue with the 5 $200 accounts and will have updates hopefully this coming weekend.